Camp Coaching Points: The purpose of the off-season training sessions is to assist quarterbacks in grooming your skills in the off-season. The training usually consists of two hours of working on footwork, accuracy, pocket movement and throwing on the run. We try to limit the off season training sessions to a limited number to encourage more one on one training. Sign up now to reserve your spot. 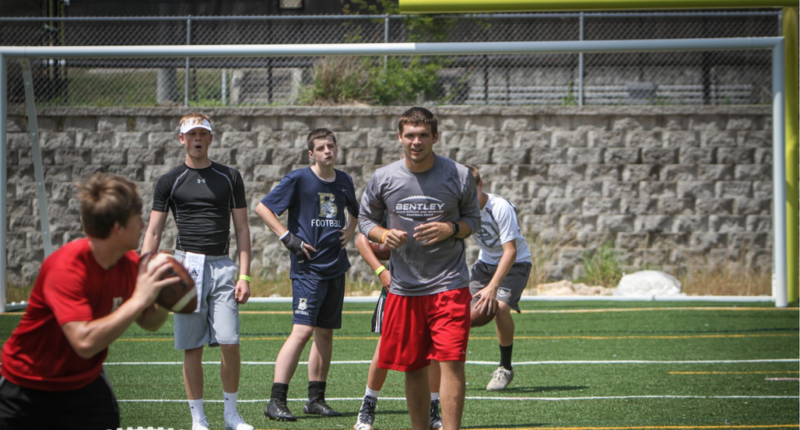 Photo above was taken from a past Bobby Bentley Quarterback Session.